Situated in the foot hills of Jimbaran with stunning ocean views from the top floor. 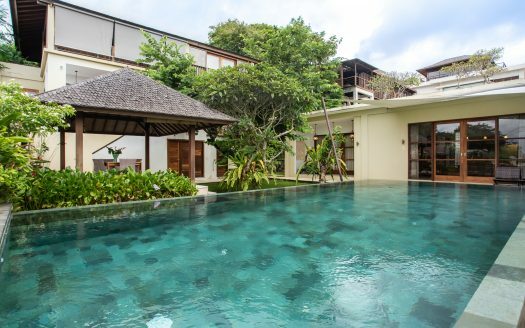 This recently completed 3 bedroom villa in Jimbaran offers a perfect gateway to some of Bali’s best known attractions. Spread on 380 SQM of land this 300SQM villa offers large patios and balcony areas to enjoy the outdoor living lifestyle that Bali is famous for, while also offering two enclosed lounges that offer either a direct view of the pool or ocean views. 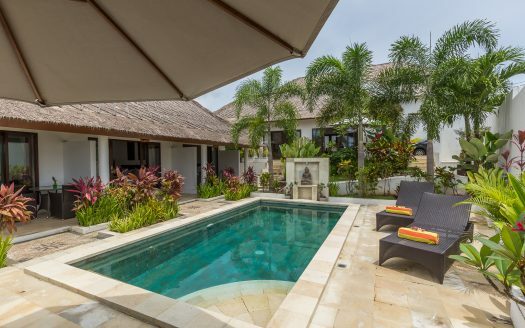 With 3 large bedrooms and 4 bathrooms, this villa is perfect to accommodate a family that would like to live in South Bali with easy access to the international schools in Sanur and on the Bukit. 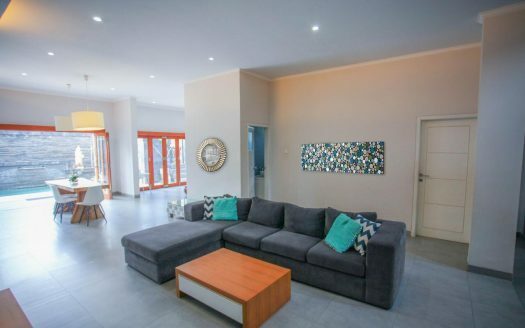 Offered on a 24.5 Year Lease with an option to extend, this villa also offers a great opportunity for that investor looking to make a strong passive income on the ever lucrative yearly rental market.